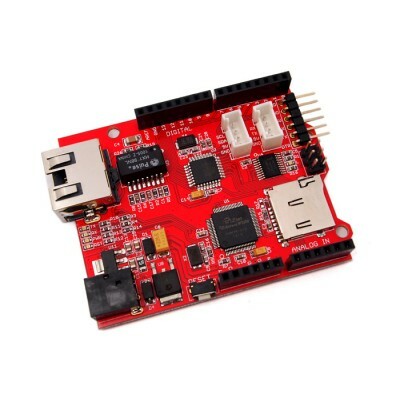 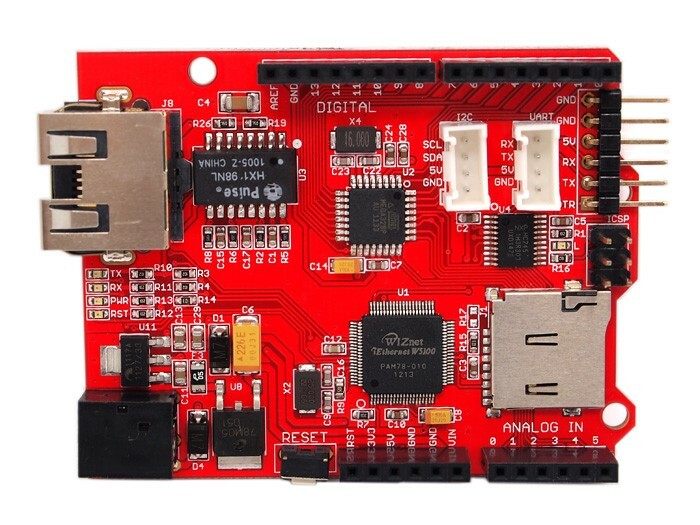 The Seeeduino Ethernet is a Arduino-compatible Ethernet-enabled microcontroller. 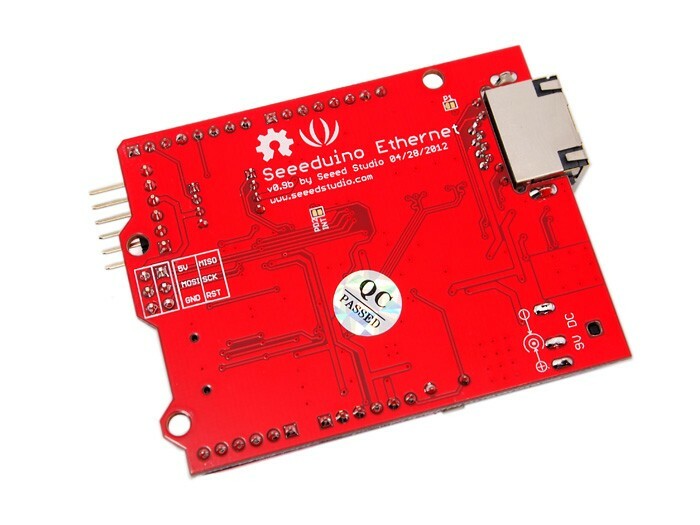 The Seeeduino Ethernet combines an Arduino-compatible microcontroller, an Ethernet shield, and a micro-SD card shield in a single board. 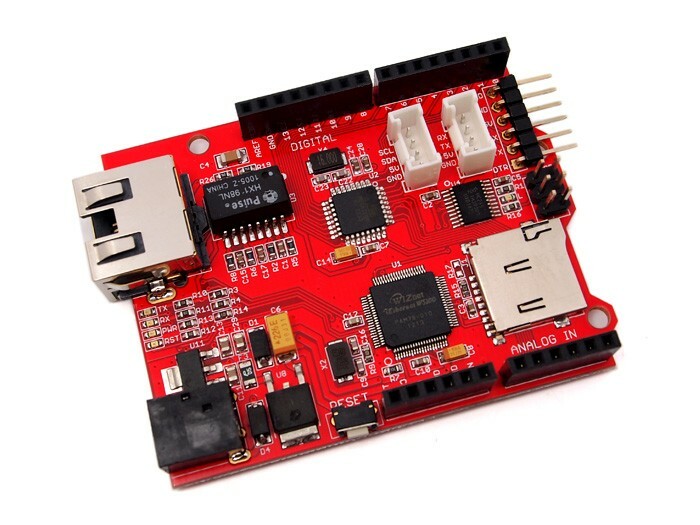 The low-profile Ethernet socket is set into a cutout in the PCB, which makes this board compatible with some shields that the regular Arduino Ethernet board isn't.